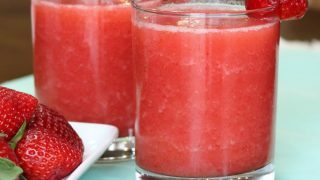 I have a delicious and easy drink for you today, this strawberry frosè recipe both looks and tastes amazing and can be made to serve a crowd. 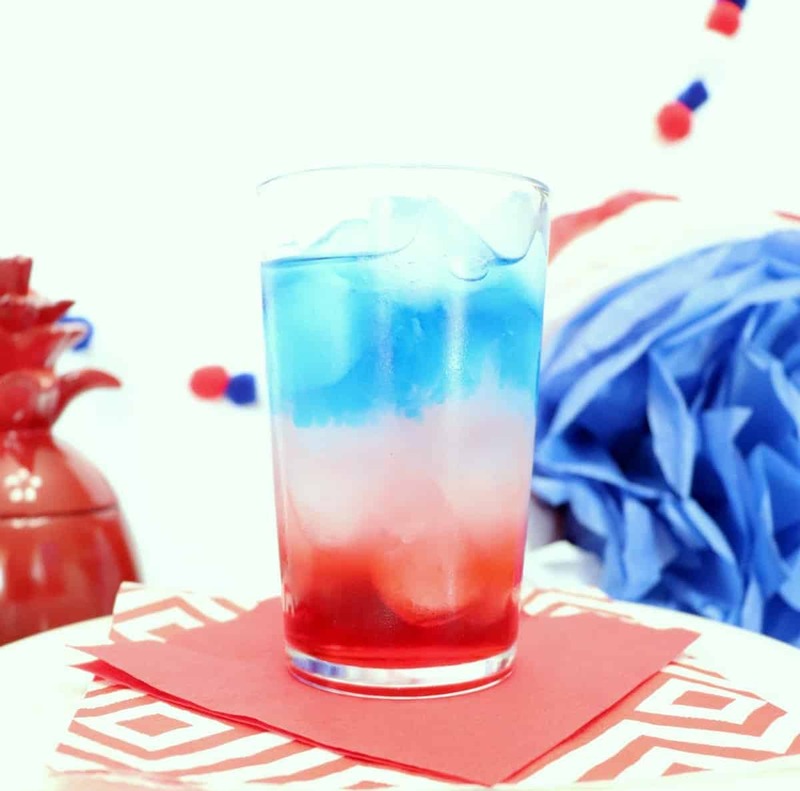 I love a good frozen cocktail and I find that these frosty drinks can be served up for so many different occasions. This Spring I’m serving this strawberry frosè with Easter dessert. I’ll have a house full of people and lots of good food. Why not top off a delicious meal with a fruity drink and a slice of pie. 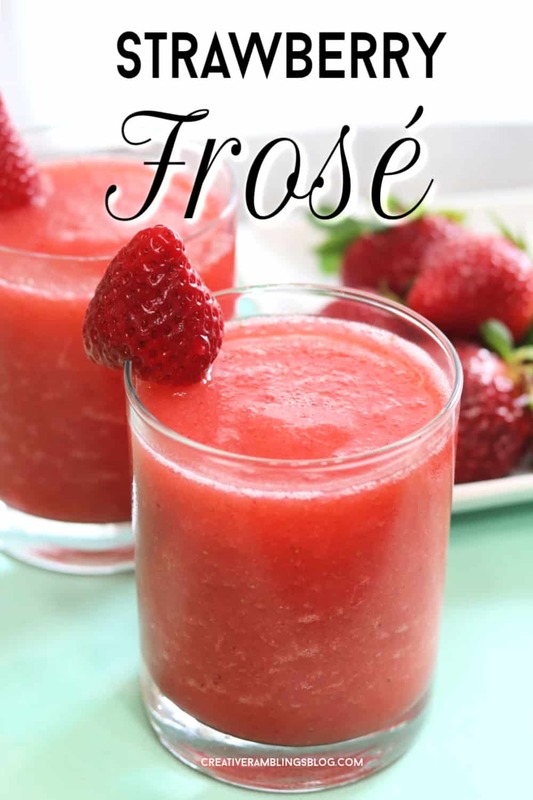 Frosè is ridiculously easy to make, this version only has 2 ingredients! But the beauty of this recipe is that you can truly make it your own. The basic recipe is below, but try these variations when you make frosè. Use a mixture of frozen fruit like peaches, strawberries, mango or berries. 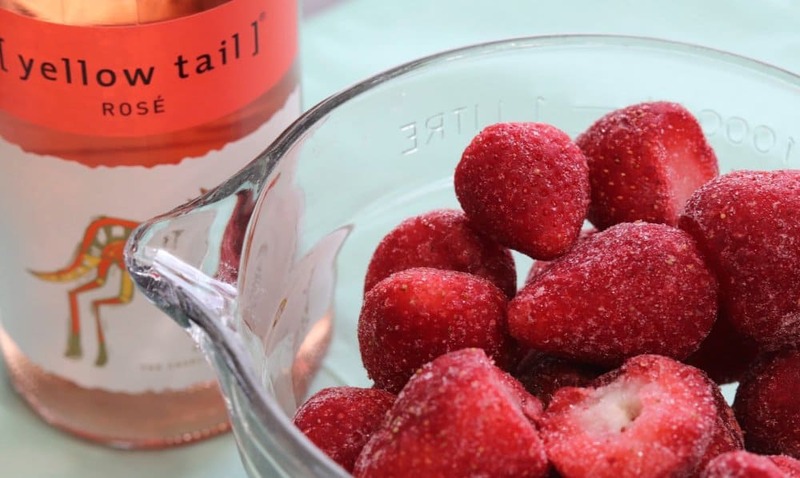 Try sweet or dry rosè to vary the flavor and taste of your drink. If you are serving this with a sweet dessert or apps you may want to opt for a dry rosè. Add a small amount of sugar or agave nectar to sweeten a dry frosè. Add vodka for a stronger cocktail. 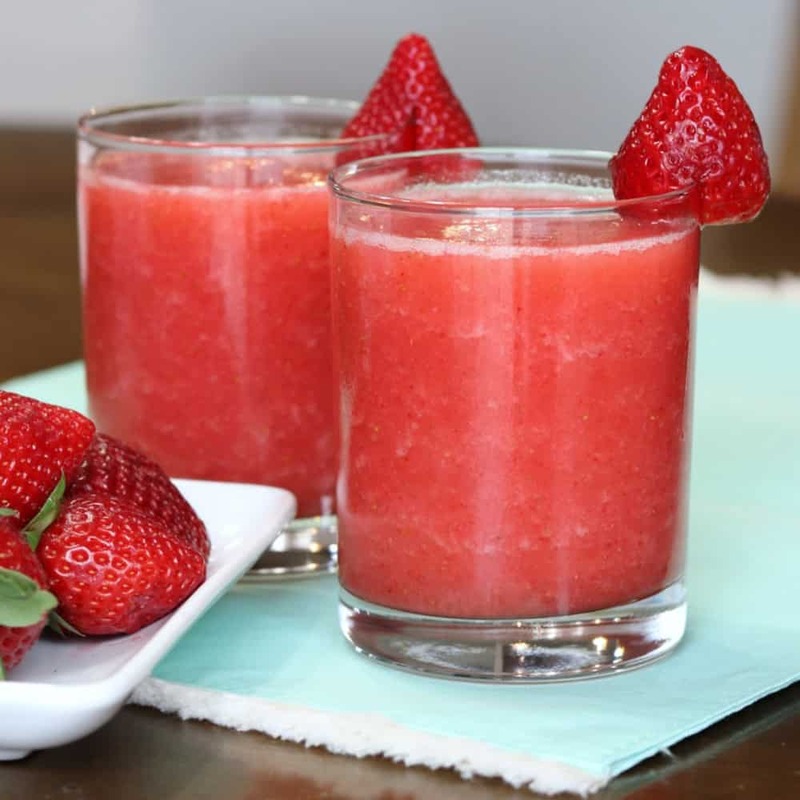 To make frosè you will need 4-6 cups of frozen fruit, I used strawberries for this recipe. You will also need a bottle of rosè, the sweetness of the wine will affect the taste of your drink. Add the 2 ingredients to a blender and blend until smooth! 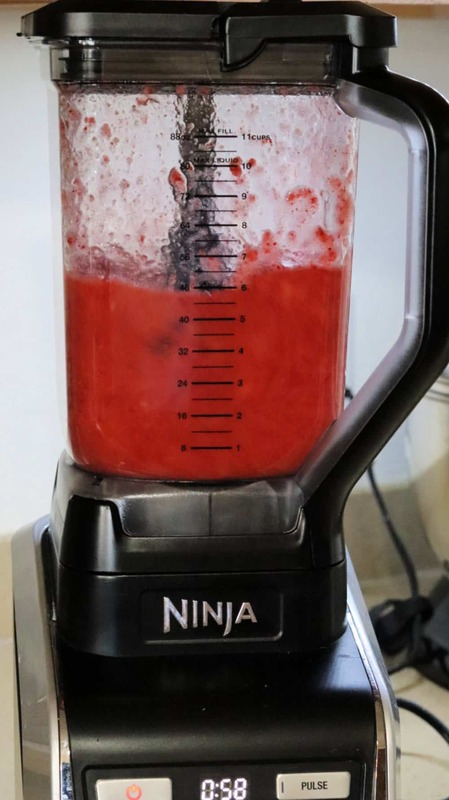 I love my Ninja for frozen drinks, it makes such a smooth mixture with no leftover clumps. Once the frosè is blended and smooth, pour into glasses or a pitcher and enjoy immediately. I have also stored extra in the freezer. It will freeze and can be served up as a slush later on. Scoop it out with an ice cream scoop and top it with a little wine or white soda. In a blender combine all ingredients and blend until smooth. Be sure to pin this recipe and share it with your wine loving friends. Want more Easter cocktail ideas? Look no further these these delicious drinks. OMGosh yum! I was at the liquor store Friday and they had Rose vodka. Now I am dying to also try a Frose with that! Oh wow, yes that would be so good!